*Happy Valentine’s Day lovers. Let’s get this day started right! Since VD fell on a weekday this year, I hope you and your significant other enjoyed an incredibly romantic weekend. So what’s in store for you guys tonight? Maybe a little flick called ‘Fifty Shades Darker’ or maybe just dinner. Are you in the mood for fast food? 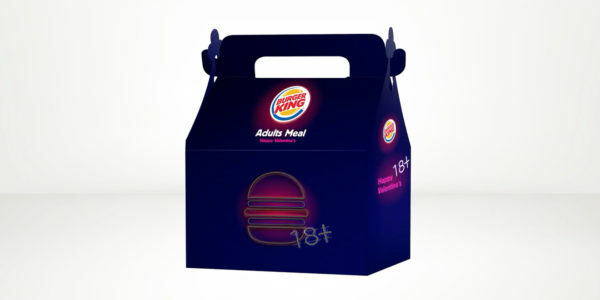 If your answer is affirmative Burger King has a little surprise for you. It’s called the Adults Only Meal. And it looks like more than fries comes with that shake. Unfortunately, you’ll have to go to Israel to get it. Cute gimmick to get attention. Read more and watch the video at EURThisNthat.